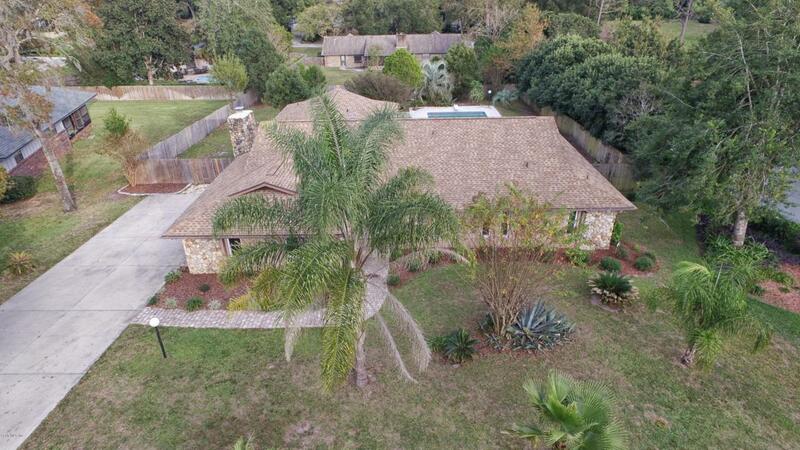 Fantastic 4/3/2 pool home in the highly sought after Stonewood Estates. 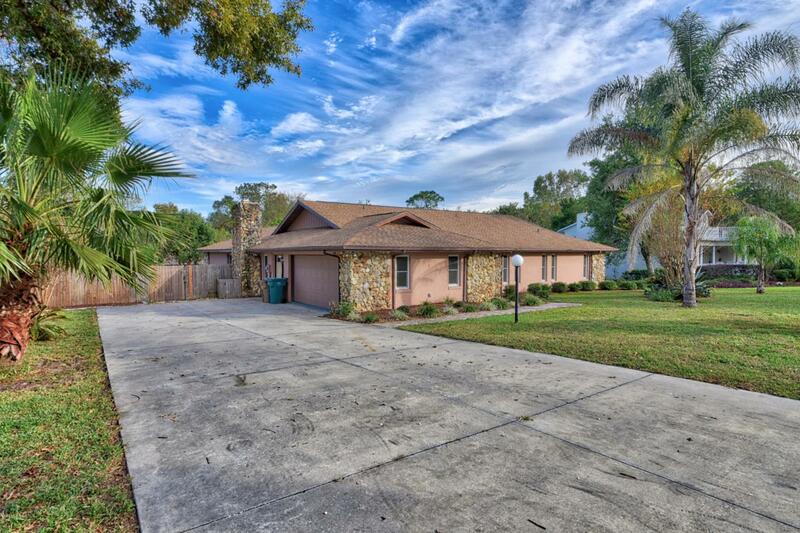 This home has been updated and remodeled from top to bottom. All new windows and doors. Tile wood flooring throughout. Perfect split floor plan which could function as an in-law suite. Over sized screened lanai overlooks the pool and back yard. The pool has access from most every room in the home. The master bedroom has its own private deck. 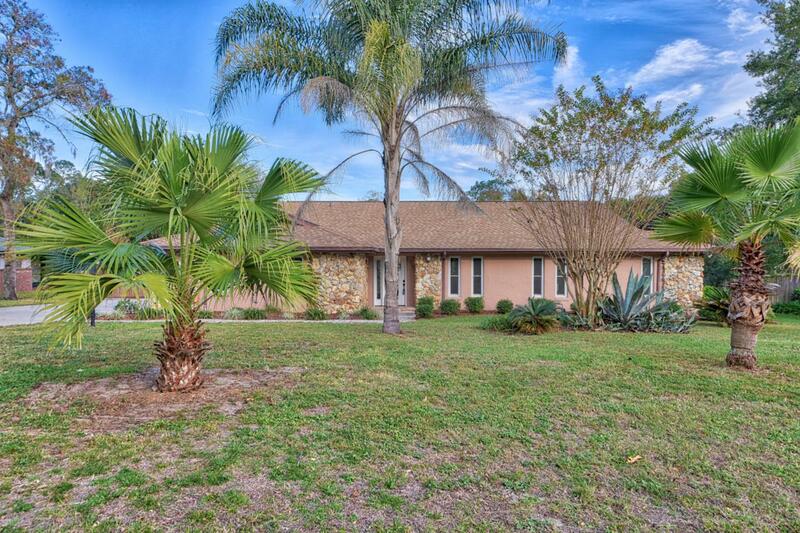 This home sits on nearly a half acre of land with a large driveway for guests or the RV. The impressive wood burning fireplace will be nice for those chilly evenings we have in Florida. 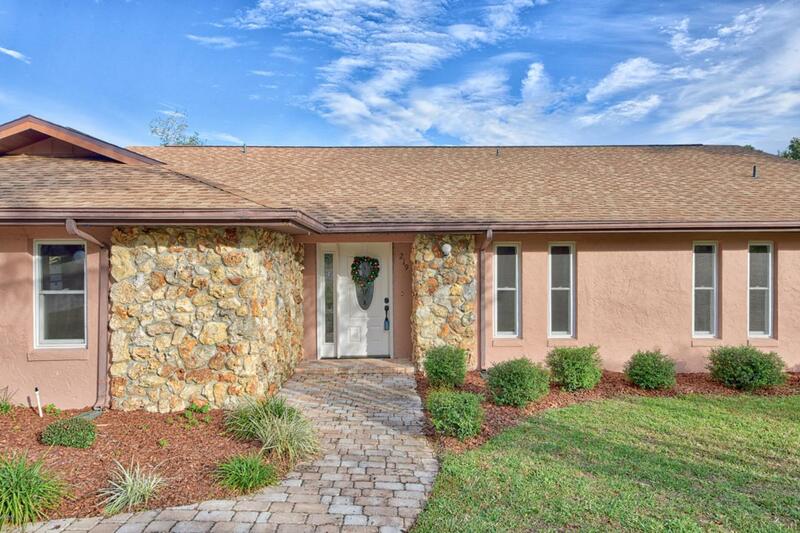 This home features walk in closets, dual a/c systems, stainless steel appliances, security lighting and security system. Schedule a showing today. Don't let this one get away.Bathrooms have modern floating vanities with updated fixtures. New pool pump and plumbing to pool. New plumbing to entire home. Dimensional shingle roof is only 4 years old. New 50 gallon hot water heater means you won't run out of hot water. You don't have to do anything to this house. Just move in!!!! Listing provided courtesy of Glen Newberry of Remax/Premier Realty.